This post was created one night (er...uh...early morning) when I had one of those sleepless moments where my brain just would not wind down. After seeing this graphic, I decided it said what I wanted to say much better. 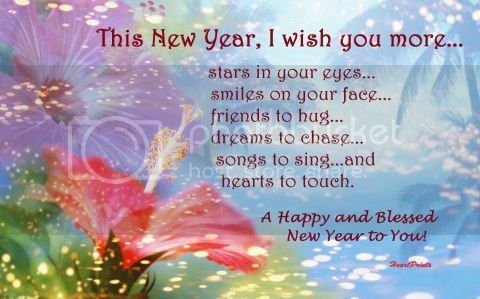 So here it is...my wishes for you! I would just add hope for joy in your hearts and peace in your lives, no matter what is going on in our crazy world. Another wish would be for good health for you and for me. Many of you are aware that for the last six months I have had some health issues that have gone unresolved, forcing me to bring my activities to a near standstill. Today I can tell you that the medicine the heart doctor prescribed three weeks ago is making a difference. I have some of my energy back and am able to handle my daily chores without running out of steam. I am still fatigued and short of breath at times, but I feel we may be on the right track with my care. We shall see what the new year brings, but I am hopeful I will have an answer and my "mojo" back in the coming months. I pray you will find your health issues improving as well. In my mind, it is the small things that matter most...a hug from a child or grandchild, an "I love You" from a spouse, a giggle shared between friends, recognizing there are angels among us, and so much more. Those are the moments that make the heart swell, the emotions rush to the surface and often spill over - the ones we want to capture forever. May 2013 be the year of the small things in our lives. Maria Elena - Thank you. I am so happy you were here today! Your words warm my heart! Diana - Yes...little things like a bad joke told by a grandchild, a callor a letter from an old friend, and endless other small memories! May we have lots! Wishing you a better new year Pat. Happy New Year! Brenda Lee - Thank you...I wish the same for you! I'm happy to hear you are feeling better. Hope you continue to see improvements. Lovely post! "Happy" doesn't describe how this makes me feel! The "small things" are wished for in abundance for you, too. Thanks for sharing these words with us. I'm glad you are feeling better and hope you continue to make good progress. 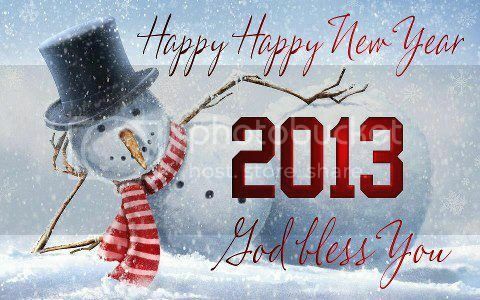 Have a happy, healthy, and peaceful 2013! Pat, Thank you for this beautiful post. I am so happy that you are feeling better and I so hope the doctor is on the right track. I am praying for your continued improvement. You are one sweet lady who deserves the best of everything. We are home, I am trying to catch up, unpacking, laundry, etc.